If your house has been pet-free for a few years due to the loss of a pet or the arrival of a baby, it probably has felt empty or different. Lots of children start asking for pets because most of their storybooks are about animals, they see friends with dogs and cats, and you may talk about a pet you had. So what could be a good pet for a child that won’t take up too much time or put a financial strain on your budget? Hamsters are small, don’t take up much space, and are furry and cute. They are fragile though, so if your child is a bruiser, a hamster might be accidentally injured or squished. However, the plus side is that they can be super friendly if socialized and are fun to watch as they interact with their toys in their living area. 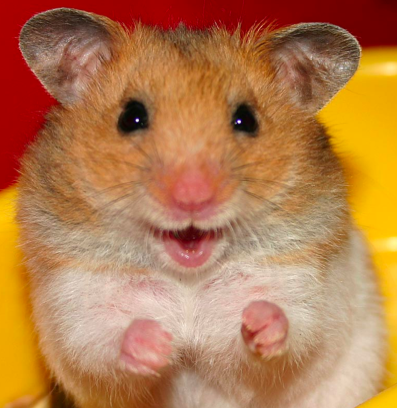 Hamsters are nocturnal so you may hear him jogging around in his wheel or digging in his bedding at night. If that’s a problem, keep the hamster out of the bedroom. Hamsters do require frequent cleaning and do need interactive and stimulating toys but do not need the same type of training, monitoring, and exercise as say a dog or a cat. As a first pet, they can help teach responsibility and aren’t intimidating to any friends who may be afraid of animals. Guinea pigs are small and can be a great pet for a child. They are not as small as hamsters and this can be a good thing because if a child accidentally dropped a guinea pigs, chances are the fella will be ok. They are heartier and easier to pet, carry, and handle. They require a larger living space but don’t need the same tubes and mazes that hamsters need to be happy and mentally stimulated. Guinea pigs are also even-tempered and socialize fairly easily if handled on a regular basis. They do require a little more maintenance and cleaning but they can be a great first pet or new pet for a small child. Rats are social, docile, sweet, and cute. Granted, when we think of rats the first thought is often the gray messy ones you see in movies or in the subway tracks and that can be repulsive. However, fancy rats are trainable, like interactions with people, and are not fragile like a hamster. They love friends so you can even think of getting two, just make sure they don’t mate! Rats also bond with their family and are quite smart. If you want to try a reptile, geckos can be a fun choice. They are small and docile but cannot be left unattended with a child due to their fragile build. Geckos can lose their tails, so if a child tugs on it, chances are it’ll fall off. The tail grows back but it never looks the same. The one thing to keep in mind is that geckos are nocturnal and may be boring to a child. However, they are more social that say an iguana and are easy to handle.